Only a few yards from home came the diversion: a traffic cone three vehicles ahead of us and a loose cable flapping in the wind. I did not wait to find out what was going and turned round to approach the motorway via a different route. The M6 was busy and wet but the forecast of snow above 250 metres was a bit unreliable. Above that on Shap was only sleet but by the time we got to Beattock, snow was falling. At least the traffic was thinning out. One serious accident southbound but no problems northbound. 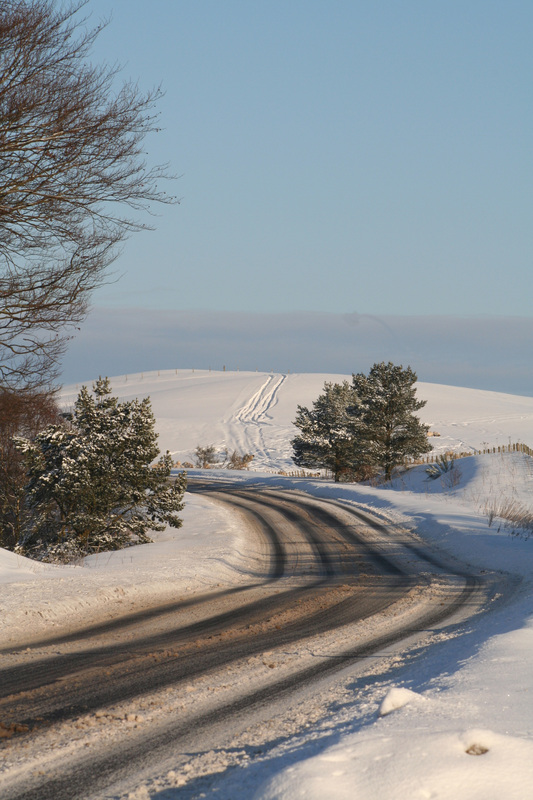 After Biggar, the A702 was like a winter wonderland – several minor accidents and numerous people struggling to drive and a little snow and slush on the road. No accidents serious to require our assistance and eventually we reached our destination. James was not happy to stop and allow photography so here is one from 2010 on the same road.